Internet Security is a general term used for protection mechanisms against intrusion threats originating from a foreign source on the internet cloud. The protection mechanisms are mostly software entities that reside on the system it is intending to protect. The protection software generally inspects the incoming data and tries to determine if it is a known security threat. If there is a positive match the data is dropped and denied entry to the system. Each threat category requires a software module to minimize the security threat. As the threats keep evolving software updates have to performed to keep the security at minimal risk. Most security threats mainly target windows users as it is the most widely used operating system. While this is true it does not suggest that other OS users are 100% safe depending on the security category. As an example a virus is OS specific while spam and phishing are not. There are many ways to apply security solutions. The two most common ways are to install security software on a per computer basis, the second method is installing security software on the internet gateway itself. Each method has its advantages and disadvantages. The gateway security is applied mostly to corporate environment since it allows to control the security at the network entry level. While most home users apply security software at the computer level since it is much cheaper and does not require complicated IT setup. 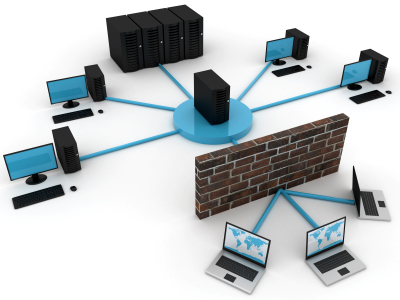 At GuruTech we believe that security solutions depends so much on user needs and configuration. We believe the best way to approach this is to assess the user's needs and apply the solution that best fits his/her needs and budget. We propose an Internet Guard security solution that can be applied to small offices as well as homes with multiple computer users. This solution also can be custom configured depending on user needs. As an example it can be configured to child proof the internet for home users with children or limit internet time and bandwidth.